This designated World Heritage City deserves to be explored at a leisurely pace. However, in a two-day visit you will be able to see the main highlights. 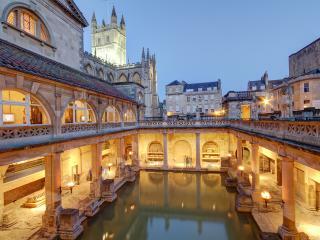 Bath's fortune was built on the presence of the only hot springs in England. 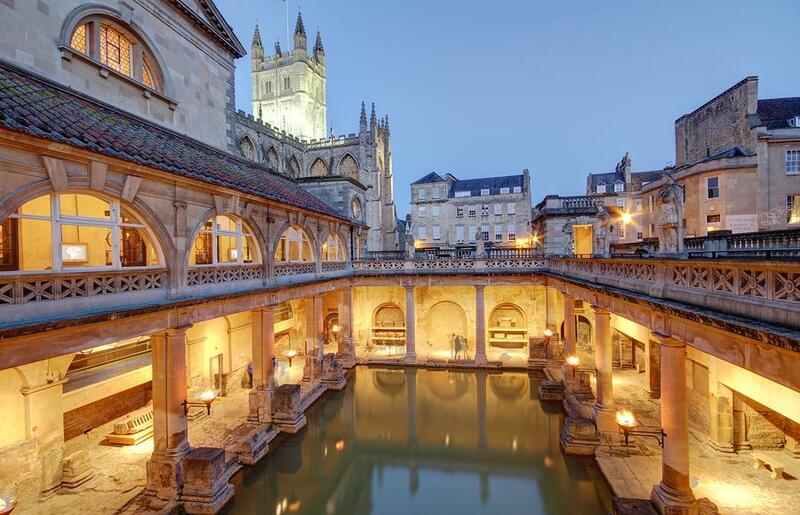 Although the Celts first discovered the medicinal qualities of the hot springs, it was the Romans who effectively turned Bath into a “spa town”. The Roman Baths Museum is one of England's most popular attractions. The Roman Baths themselves were only rediscovered in 1880. They can be very crowded in summer, so ideally visit early on a midweek morning and allow at least an hour to fully appreciate them. Bath Abbey was built between 1499 and 1616, making it the last great medieval church constructed in England. The Abbey contains some striking stained glass windows and superb fan vaulting. The most impressive feature of the exterior is the imposing west façade, where angels climb up and down stone ladders, commemorating a dream of the founder, Bishop Oliver King. In the Church Yard itself, there is always something lively happening. It's a favourite spot for street entertainers, particularly jugglers and musicians. 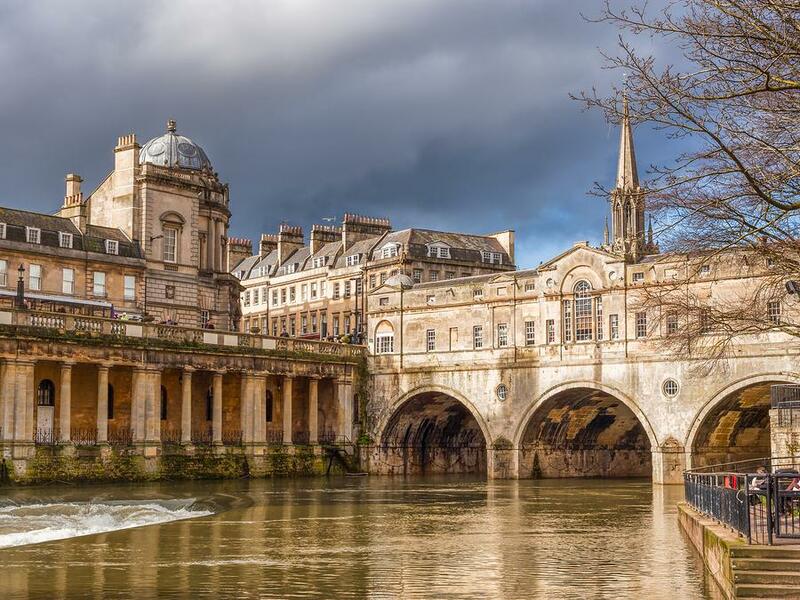 Considered an architectural gem, Bath boasts more than 5000 heritage listed buildings. Walk uphill from the town centre and you'll discover The Royal Crescent, the grandest of Bath's crescents, begun by the younger John Wood in 1767. A spacious sloping lawn with magnificent views sets off the stately arc of thirty houses. Don't miss No. 1 Royal Crescent (on the corner with Brock Street), a beautiful building which has been faithfully restored to reflect its original Georgian appearance. Thankfully, building regulations today cite that local Bath stone still be used in any new construction in the city. Many eminent names in art and literature are also associated with Bath. It was here that Gainsborough established himself as a portraitist and landscape painter and where Jane Austen wrote Persuasion and Northanger Abbey. A visit to the Jane Austen Centre is a must for lovers of literature. Displays include contemporary prints of the city, period costume and exhibits relating to Austen´s personal life, family and homes. During Bath's heyday, the younger John Wood's Assembly Rooms (on Bennett Street) were the centre of the city's social scene. Although a fire virtually destroyed the building in 1942, it has since been restored. Now housing the Museum of Costume, there is an interesting collection of clothing from the Stuart era through to the latest Japanese designs. Be sure to explore the shops and restaurants in the many side alleys leading off Bath's main shopping streets. The city is renowned for its gourmet cuisine, though you can also find many inexpensive meals in Bath's many pubs and bistros. An interesting way to see the city is on a cruise along the river Avon. Boats leave from the steps below Pulteney Bridge, an Italianate structure designed by the 18th century Scottish architect Robert Adam. During summer, you can explore the river on your own by renting a skiff, canoe or punt from the Victorian Bath Boating Station, located behind the Holburne Museum.